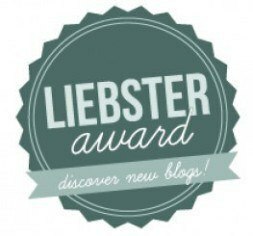 My first nomination for the Liebster Award or any award for that matter! After getting over the initial shock since I have grown accustomed to seeing them on everyone else’s blog, I asked myself the most typical INTP question one would ask in such a situation ….. Why my blog? Now don’t get me wrong. I like my blog, I just like to understand why someone else would too. Thanks to annesquared who nominated me for this award, I can proudly say that someone thinks I am “very creative, artistic, funny, sensitive artist.” Each word is such a compliment but a whole string of them in one sentence – golly gosh, just so lovely. I like Anne’s intelligent humour. Of course I like her intelligence and humour separately but especially when they are combined. Witty, well written, researched, interesting, varied, passionate and embracing. Such a compliment receiving this nomination from annesquared. 1. I love cashew paste and banana on toast. In fact, I love anything on toast, I just love toast, or bread, cheese and bread, cheese alone even, or with a cracker, the soft gooey cheese, or my great grandfathers cheese …. oh…..
2. My great grandfather is Papa Hanson, known as the first cheese-maker in QLD, Australia. He came from Denmark and had to adjust his recipes for the climate. His cheeses are still made today. Although I love all cheeses, Papa’s Malling Red is my favourite – it bites. 4. When I meet a new person I like to know their profession and what their childhood dream to become was. No reason, just find it interesting. I also like to know their type, no not blonde’s or red heads, the MBTI silly. 5. I have an active imagination but also quite a convincing one. At my age, I am still scared of the dark. 6. I was obsessed with Wesley and Buttercup from the Princess Bride. I wanted to name my horse Buttercup only, I didn’t have a horse. I decided just in case I ever did acquire a horse, that would be his or her name. Didn’t seem like a suitable name for a dog, cat, rabbit, or turtle, all of which I did have as a child. 7. When my career counsellor suggested I be a novelist I thought he meant finding novel things. This confused me as I thought how could I find something universally novel without having invented it myself? 9. I love to spontaneously study. This doesn’t mean I study at spontaneous times, or that I actually study spontaneity but I love to change topics of study spontaneously. 10. I am really concerned about my ability to peacefully live with 3 teenage boys when the time comes. They are close in age with 3.5 years between the eldest and the youngest. I don’t know how many grunts, smelly socks, rotten food lingering under the bed I will be able to calmly acknowledge. 11. I bake my own bread. Am I bragging? Yes I am. Admittedly I use a bread-maker. 1. Is there a population solution that you favor in particular? (Just kidding.) How many siblings do you have? I have 2 sisters and 1 brother. Although the age gap between them and myself was like having siblings who visited when growing up. 2.Who is your favourite artist? 3. Do you prefer dogs or cats? Both, can I say that? I had a cat called Pebbles that died after his back was broken by two dogs. We still have our border collie Tailor, although I was going to call her Bam Bam. 4. Do you have a recurring dream? Good or bad? I had a recurring dream that repeated itself 6 times in the same night. Each time, it got quicker and quicker. I was a cowboy and the dream ended with me loosing a dual against 5 other cowboys at a card game in a saloon. 5. What is your opinion about the flying monkeys in “The Wizard of Oz”? I don’t remember the monkeys. Were there flying monkeys? 6. How many states and/or countries have you had a driver’s license in? Whichever my family is in. No, what is it classified as? 9. You are at an estate sale that is selling work by Rembrandt, Picasso, Monet and other renowned artists. A local woman is running the sale to keep the prices lower to the buyer but give the estate more return on the items. (Her entry into the market.) The deceased, an eclectic collector of beauty, has an incredible collection of work. You are offered the following: 5 exquisite, but unsigned watercolors on textured paper. The provenance is gone. The dearly departed hired people to come into his home to search for the documents – but nothing was ever found. Given the collection of items that is being sold, and the 5 unsigned watercolors look simple, but unique, would you be willing to pay $250.00 for the set of them? Row’s Pottery Shed – you never know what will pop up on Rowena’s next post but it is always something I wouldn’t normally see if she didn’t point it out for me. Middleagedyo – I have only just recently found this blog but have devoured the contents. So interesting, informative, creative, funny and entertaining. Sketch4health – Amy is on a mission to make the therapeutic benefits of art available for individuals that may not have access to such possibilities. I admire her determination and of course, believe in the benefits of art for all and would love to see this project flourish. Creativityrulez – Eddy loves to write about creativity and I love to read it. Misadventures in craft – such a cool blog with colourful ideas in craft and activities with kids. Jacklyn Hancock Visual Artist – what can I say, I like her art and she is talented in a number of mediums. Creatice Mondial – a newish blog but is becoming filled with interesting stuff that I like and look forward to seeing much more. Just another outlet – we share an interest in personality and understanding the differences in people and how these differences matter. Quite insightful. Discover & Create – Jutta has some beautiful art but I particularly love the sculptures. The sculptors wife – opening my eyes to a world that I am becoming increasingly interested in – sculpture. Eclectic Threads – love the photos on this blog. Tells a great visual story. Posted on May 20, 2013 May 21, 2013 by charcoalblue	This entry was posted in Artist Profiles, Artist Story, Creativity, INTP, Personality, Photography, poetry, Practical, Thoughts and tagged humour, INTP, Liebster award, MBTI, nomination, personality, questions. Bookmark the permalink. Hey, congrats and thanks for nominating my blog. Remind me to never clays cards with you! Oh that’ll only happen when I’m a cowboy. I’m looking forward to looking at the blogs your nominated. Either you have repressed the flying monkeys or they made no impression on you. Probably a good thing you have 3 boys. Lol at the “novel” response. I have been down similar roads d/t the way I think. HIV/AIDS – worldwide the majority of cases are transmitted via mother to child, so it is not longer classified as an STD. HOWEVER, it is a disease that is transmitted through the exchange of bodily fluids. (It is a pandemic in Africa.) A baby born via c-section can avoid contracting HIV from the mother (they have separate blood supply) but a vaginal delivery introduces the virus, and it is also passed through breast milk. Sad, yes? Advice for a mum of 3 boys? Love them, keep the dialog open, let them make mistakes and suffer the consequences, and assure them you love them no matter what. 🙂 And do not take the forgotten lunch or homework to school when they are very small. They won’t starve or suffer – but they will remember from then on. (Advice from a “mean mom.”) And have a blast! Thanks for the good advice. Will try to keep the dialog open first and foremost I think. Right now they love to talk and tell me everything. I hope that doesn’t stop. Yeah, I agree, they need to learn ‘experientially’ to remember. Curious about these flying monkeys now. Hopefully the stigma can be removed from HIV now. Your’re welcome, look forward to reading your answers. I am so excited and especially eager to check out the other blogs you’ve taken the time to list! Excellent, I’m so glad. Look forward to reading your answers and nominations. Thank you so much for the nomination. It feel very exciting, although I am not sure what it means- but just that you like my blog and what you said on your post feels like big praise! So how do I answer the questions- do I need to do it as a blog entry? I am slightly confused as to what to do next?! I didn’t outline any instructions so I apologise for that. I have left some notes on your blog but if you would like further info, just ask. Have fun! Oh I really hope you are starting to feel better Jutta. Nasty viruses are just horrible. Take your time, enjoy the process and I am so glad you feel honoured. Keep up the good work and look forward to seeing more of your blog, especially your sculptures, so expressive. I must remember to hit ‘like’ more, still not in the habit.